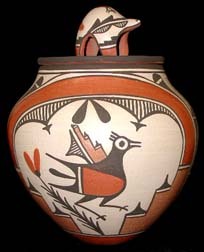 Gorgeous Owl w/Frog Relief Zuni Pot: Eileen Yatsattie. 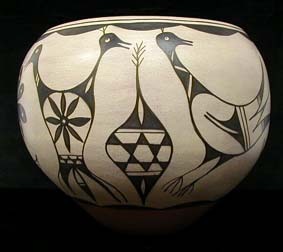 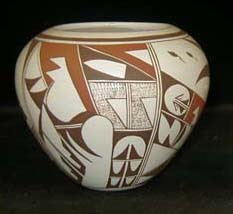 Eileen Yatsattie makes pottery not only for collectors, but also for religious purposes such as the Zuni winter ceremony. 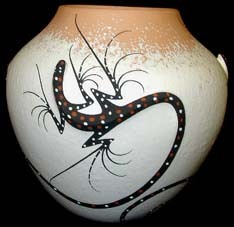 She uses natural clays and paints to decorate her pottery that often bears in relief the images of animal life, such as frogs. 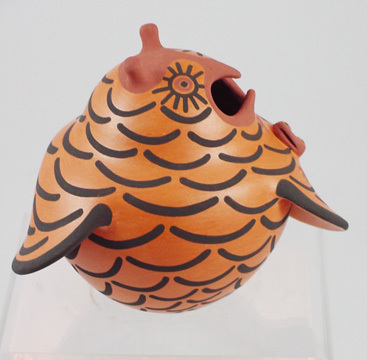 Her frog pots are collector's favorites. 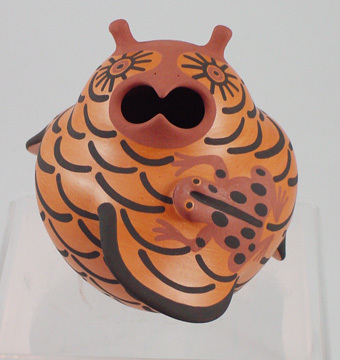 This is one of Eileen's owls, decorated with her favorite design of frogs on relief. 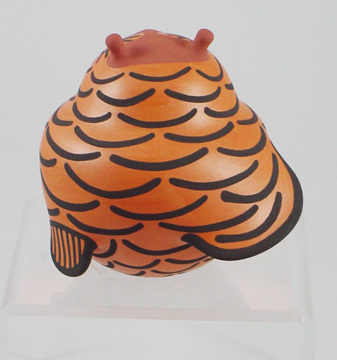 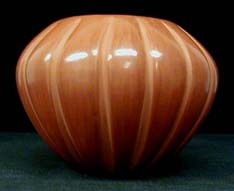 The coloring of the pots is superb and solid with no weak spots or other defects. 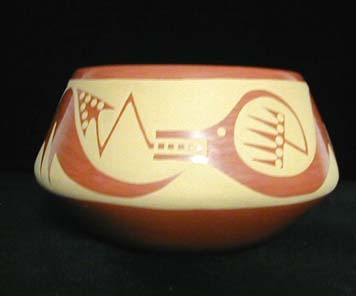 The pottery is signed by Eileen. 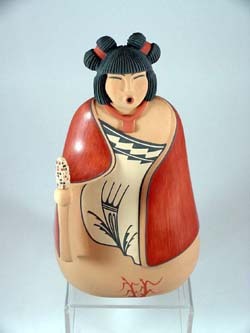 The owl effigy measures 4 3/4 inches high by 6 inches wide.